Depression tried to kill me. I survived! Let’s eat! Speaking from the depths of a severe depressive episode, this is likely to be a shorter blog post than most of mine. I feel driven, though, to pull together a few thoughts that have been floating around in my head over the last few days. The Temple in Jerusalem was the centre of Jewish life at the time, and its destruction scattered Jews across the world. Tuesday 15th July was a notable day for several reasons. It was the day that I had a second interview for a job that I really wanted (and didn’t get). It was also the Fast of Tammuz, a day in the Jewish calendar which marks the beginning of the saddest three-week period in the year. On that day, Jews across the world commemorate the breach of the walls of Jerusalem by the Romans in 69CE, an event which ultimately led up to the destruction of the Second Temple and the beginning of the Exile which is ongoing. This year, many Jews chose to dedicate their fast to a hope for peace in Israel-Palestine, fasting alongside their Muslim cousins during Ramadan. Tuesday 5th August was another notable day in the Jewish calendar. 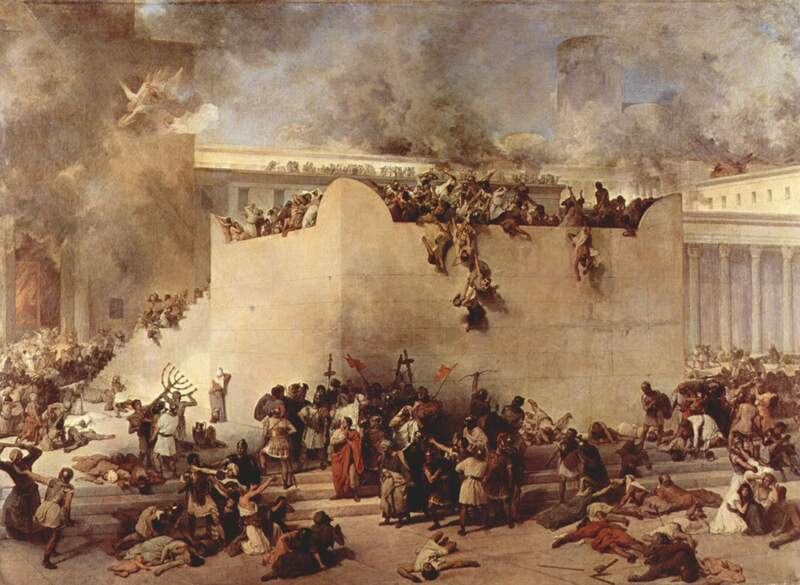 It was Tisha b’Av, one of the most significant fast days in Judaism, marking (among many other coincidental disasters in Jewish history) the destruction of the Second Temple. In addition to fasting, it is traditionally marked by adopting full mourning rituals, including not bathing, wearing jewellery, wearing new or clean clothes, sitting on chairs, using lotions or make up, engaging in sexual activity, or greeting one another. All in all, it’s a pretty intense day dedicated to bringing the person into as deep a state of sadness as is possible when they are so far detached in time and often geography from the events commemorated. I have now decided to disclose the fact that I did not mark either day in any way at all. Although I kept the fact very quiet from people around me, I have now decided to disclose the fact that I did not mark either day in any way at all, although for very different reasons. My past blog posts both here and on other websites have hinted that I am losing my commitment to Judaism, or, as it is called in Jewish circles, ‘going off the derech [path]’. I feel as though it no longer means to me what it used to, and without a compulsion of the concept of divine reward and punishment, I have no real reason to continue to practice what I would formerly have done. It’s very much a work in progress in the moment, establishing what means something to me and what doesn’t, so I’m taking each day as it comes. On Wednesday 30th July, I crashed headlong into the most severe depressive episodes I’ve ever experienced. In the three-week period between the two fasts, a number of factors came together in a perfect storm of horror, and on Wednesday 30th July, I crashed headlong into the most severe depressive episode I’ve ever experienced. Twice in the first few days, I came very close to ending my life, and owe my survival to a couple of very amazing people who know who they are. Although the urges have reduced a little, they’re still simmering under the surface and bubbling up every now and then. I have passed my days in a blur of tears, self-loathing, unsatisfying sleep and an ongoing battle to keep up with my daily life as if everything was fine, even though things that used to mean so much to me are now as bland and unappealing as staring at a brick wall. That last, incidentally, is an activity that I’ve done quite a lot in the last week or so. This is my black dog. I haven’t given him a name, because I hope he won’t hang around too long. I’m not sure if I would say that the feelings I’ve had since that Wednesday have been comparable to the experience of mourning, with which I am intimately acquainted. In the immediate aftermath of my mum’s death, I cried a lot, and I felt like life could never get better again, but I still felt like I had a purpose to life. Life may have been utterly dreadful, but I still had some kind of reason to keep going, even if it was just to get back to my degree. At the moment, in the pits of depression, that purpose feels like it has just disappeared like smoke up a chimney (to use an old cliché). 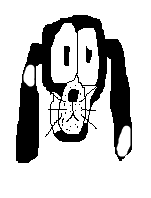 The black dog of depression is doing everything it can to make my life not worth living. When Tisha b’Av rolled around, I didn’t even stop to think for a moment about the possibility of fasting. I listened to happy music. I watched TV. I had a shower. I wore my normal jewellery, and happened to pull a t-shirt out of the drawer that I’d never worn before. The fast day was completely meaningless to me, in terms of both its religious significance and the communal solidarity it draws. Ironically, though, I felt more sad and downbeat this Tisha b’Av gone than I have ever done before. This time, I didn’t need to fast on Tisha b’Av to feel depressed: my body was doing a very good job of that for me. I had been living my own personal Tisha b’Av for almost a week by then. Far from trying to bring myself down further, I was doing everything I could to find the tiniest bits of happiness in life, just like for so many years I have tried to find the tiny bits of sadness within a generally happy life. I didn’t need to fast on Tisha b’Av to feel depressed. I had been living my own personal Tisha b’Av for almost a week. There’s a little self-deprecating maxim that Jews throw around quite a lot to sum up their festivals: ‘They tried to kill us, we survived, let’s eat.’ There’s also the lesser used ‘They tried to kill us, they managed it, let’s not eat’, which is what sums up the fasts of Tammuz and Tisha b’Av. Having been through what I have recently been experiencing, though, I want to alter the ditty in celebration of the smaller successes. Depression hasn’t killed me yet, and every day that it doesn’t, I’m going to eat to celebrate that. Fast day or no. Categories: Life after bereavement, Life as a religious minority, Life with depression | Tags: #hungryforpeace, bereavement, black dog, brotherhood, celebrate, celebrating, celebration, depression, Fast of Tammuz, fasting, festivals, grief, Jerusalem, Jewish, Jewish calendar, Jewish fasts, Jewish festivals, Judaism, mental illness, mourning, off the derech, Orthodox Judaism, OTD, peace, persecution, Ramadan, Reform Judaism, religious minority, ritual, rituals, Romans, Second Temple, self-loathing, suicidal, suicide, survival, Tammuz, The Three Weeks, Tisha b'Av | Permalink. Why are we screening the ‘B’ word? Navigating life as a… on Let It Go?